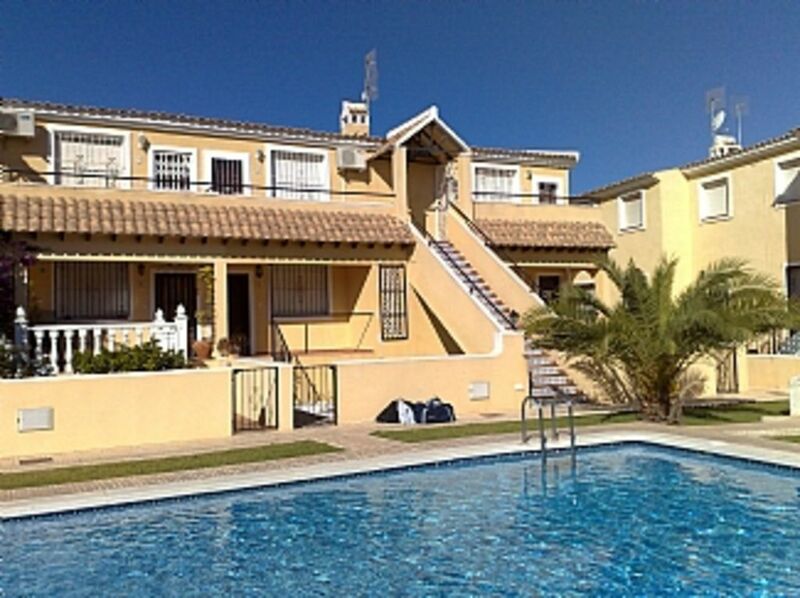 Apartment in Villamartin, Costa Blanca South, Spain - Minutes from Beach, Plaza & Golf Courses. A dozen golf courses within 20 min drive. Beaches are 5 minutes drive away. Wide variety of restaurants and bars. 40 mins from Alicante Airport and 20 mins from Murcia Airport with the option of flying into 1 and flying out of another to benefit from better times/prices. Shops, markets, shopping malls, bowling and great go-carting all within a short drive away. The apt has a balcony overlooking the pool. I am a IT Project Manager based in Wiltshire, I also do international Expedition leading. This family owned apartment has been loved by many. It has been a fantastic location for both airports and is close to just about everything you'll need: Markets, Banks, Bars & Restaurants, Golf courses and fantastic beaches. It is settled in a lovely friendly community, overlooking the shared pool, and use of any of the other 8 pools. It is clean and very well maintained and has ample space for families ...with of course Satellite TV. 1 Bathroom with a Bath\Shower combo, toilet and sink. There is a large sofa bed, single chair and dining table with 4 chairs. A 32" wide screen tv with satellite box with 20+ English channels inc bbc, itv, sky news and some movie channels. There is also a dvd player. Kitchen includes a 4 ring halogen hob top, full electric oven, tall fridge\freezer. It also has a microwave, toaster, kettle, iron & ironing board. Contains a table that opens out for 4-6 people. Just down the road from the Plaza. 2-3 Mins to Villamartin Golf course. There are apx 12+ courses all within 20-30 mins drive. Please contact us for info on how to get discount tee-offs. Notes on accommodation: Air-conditioning. Cleaning / Towels / Linen / Maid service: Bath towels and linen is included. There is an additional fee of 50 euros for cleaning and laundry.. This is paid locally. Other: There is a balcony that overlooks the pool. Gorgeous beaches are only a 10 min drive away - a variety to choose from too. Alicante airport is apx 45 mins away and Murcia is 20 mins away. We can also advise on the cheapest car hire available. Pick up from the airport is also possible upon request. The famous Villamartin Plaza with a plethora of Restaurants and bars are only a 5 minute walk away - you can easily waste a whole evening there. The very popular "Morgans Bar" and "Cheers" bar are also on site and literally 2 mins around the corner. There are plenty of banks and Mercadona's supermarkets all within a couple of minutes away. There are rows of other restaurants, bars and shops along the busy N332 road, which also leads to the beaches. Booking Notes: A £100 Security deposit is required on booking and the full amount is required 35 days before departure. The £100 deposit will be held for any breakages or lost keys and will be returned upon return - normally 7-10 days afterwards. Changeover Day: Please contact owner.